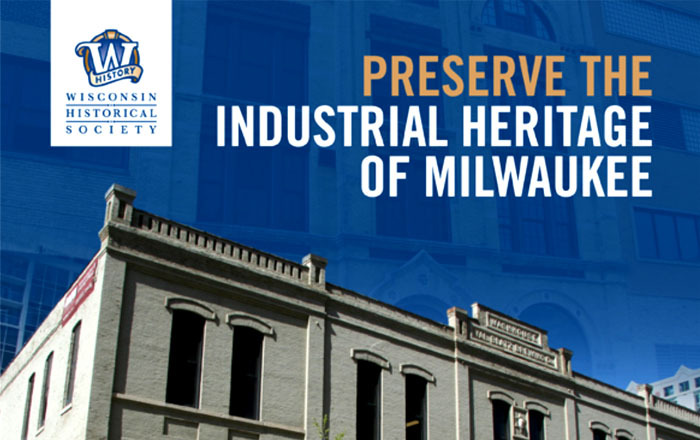 The Wisconsin Historical Society started a project late in 2015 to research and document Milwaukee industrial architecture, retaining the engineering and planning firm of Mead & Hunt. The idea behind the project is detailed in the following summary from the report they produced. Milwaukee has historically been Wisconsin’s largest industrialized city. As industry left the city, scores of industrial buildings were left behind, vacant and underutilized. The availability of federal and state historic tax credits has made these buildings attractive candidates for rehabilitation and reuse. However, an impediment to the use of the tax credits has been the limited information on which buildings meet National Register criteria, one of the requirements of the tax credit program. To address this need, the Wisconsin Historical Society undertook a comprehensive architectural and historical study of Milwaukee’s historic industrial buildings. The intent was to create a record of Milwaukee’s industrial heritage as embodied in the remaining industrial buildings that would serve as an incentive for building owners and developers to reinvest in Milwaukee’s historic building stock, thereby increasing property values, creating new retail or housing opportunities, promoting green architecture, and attracting people back to devalued areas of Milwaukee. The value in rehabilitating former industrial buildings can be seen in the success of the Third Ward which prior to its development starting in the late 1980’s was solely a warehouse and light-manufacturing district. One of the last buildings in the ward that remains functioning as light industrial is the Hoffco Shoe Polish Factory at 125 N Water St. In the mid-80’s before the transition, the ward was half-empty with many of the light-manufacturing businesses moved out of state. Commission Row on Broadway was the busiest part of the neighborhood with several fruit and vegetable wholesale businesses distributing their goods throughout the day. The final report was finished late last year and was unveiled at an event at the Pritzlaff Building on January 19th. The 160-plus page document is available online through the Wisconsin Historic Society website and details the many types of industrial buildings to be found in Milwaukee, a history of the various industries and their development, and a complete list of industrial buildings in the city. This is an amazing tool for developers, researchers, and the public to gain an understanding of this underappreciated type of building.